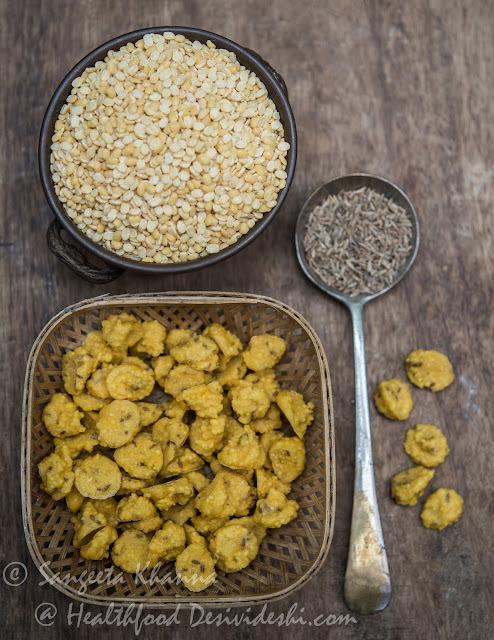 Mungodi is made of mung dal (skinned mung beans) after a paste of mung dal is dropped into small pellets and then sun dried to make little nuggets of lentil, it can be spiced or plain. Badi is the generic Indian name for these lentil nuggets and the specific name changes with the kind of lentil used. If it is made of mung, it is Mungodi. There are several names for these Mungodis or generic badis (or wadis) all over the country but in Bihar and eastern UP it is always prefixed with the type of lentil used. So there is Mungodi made of mung, Urdouri or Adouri made of urad dal, Masurouri made of masur dal, others are called as badi simply. When I posted about alu mungodi ki subzi many of you asked for the recipe of mungodi as no one makes these at home now and these are not even available in many places. Moreover, the quality of the ready made mungodi is not always good. I have been my grandmother's apprentice for long enough to recreate thing on my own, so here is the recipe of mungodi that can be made at home without much fuss, if you make a small quantity. Note that making mungodis at home 'used to be' a humongous task but it was so because such things were always made for friends and family too. Huge dabbas were sent to kith and kin, badi, papad and achar were always exchanged between families and friends. Social bonding was real and tangible. Let me tell you there is one encouraging fact, that we can make the mungodis fairly easily at home. 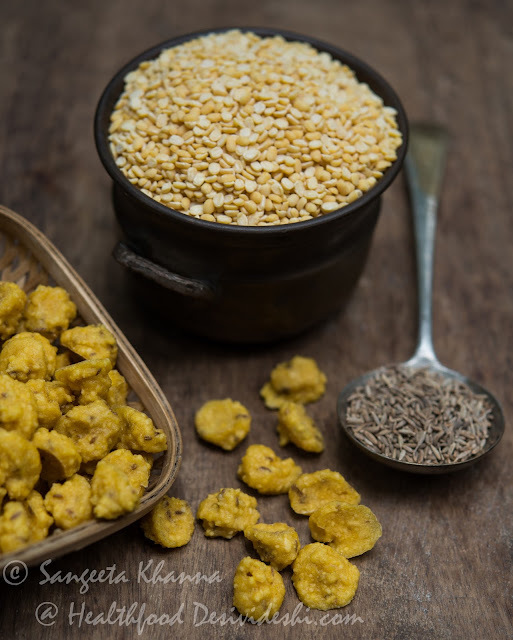 For mungodis it is only one ingredient mostly as these are always made without any spices. But cumin seeds are sometimes added to bring a hint of spice in them. Soak the mung dal for one hour. 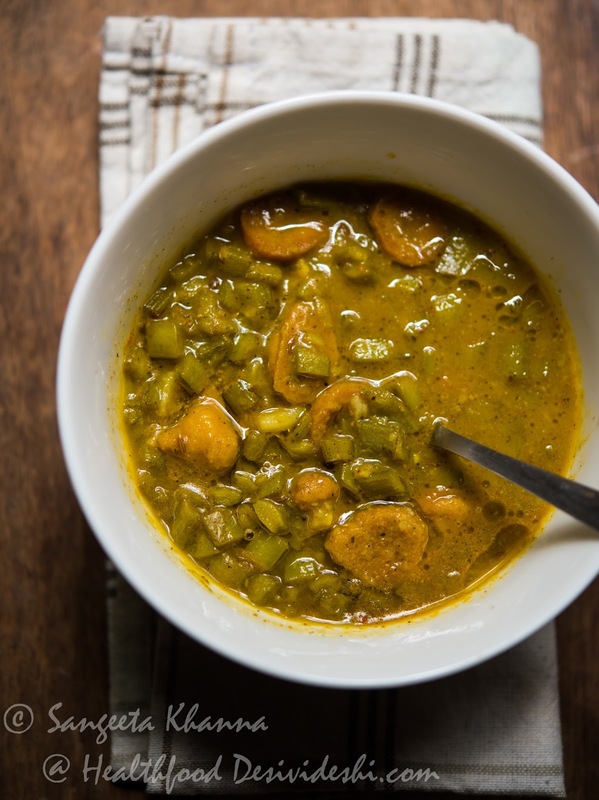 Note that soaking the mung dal for longer will result in more water content and flat mungodis that do not soak up the curry flavour when cooked. Drain the water. 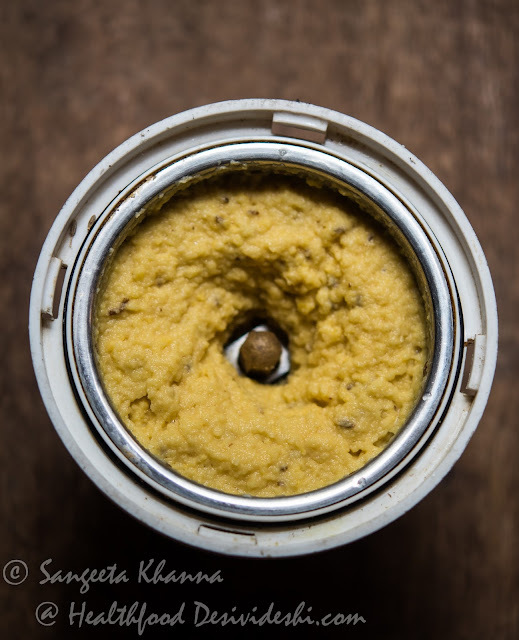 Make a coarse paste with the cumin seeds, without adding any water. The paste should look like this. Now make a cone using a plastic bag, reused or fresh. Or use a piping bag with a small hole depending on the size of mungodis you need. Fill the mung paste in the piping bag, secure the top and start piping mungodis on a smooth surface. I used a silpat sheet because it is much easier to take the mungodis off the surface. They may stick on plates even if you grease them. My piping skill needs some brushing up. I have decided on more mungodis now, no cake icing please. My grandmother used to make mungodis on old muslin saris so it was easier to sun dry them and once the mungodis are dry they peel off easily from the thin cloth. And she used to shape each single mungodi with her fingers, piping them perfectly, using three fingers and thumb. Time your soaking, grinding and piping in such a way that you lay out the mungodis in good sun at the start of the day. It took me 2 minutes of grinding and 5 minutes of piping the mungodis for this quantity. 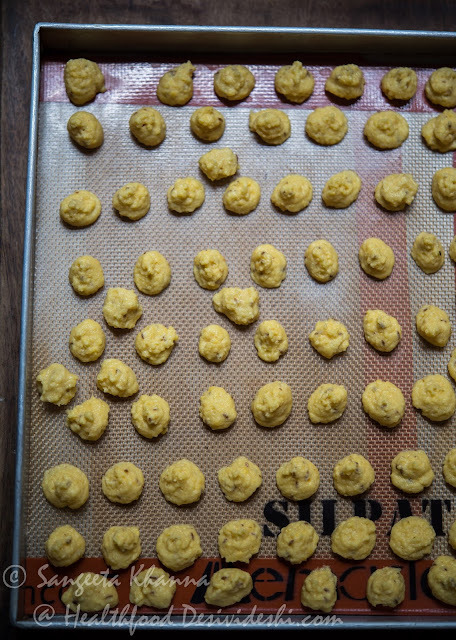 And of course the whole day of fun watching the mungodis dry, updating a few instagram pictures in between. Once dry enough the mungodis can be flipped. It took an hour this time. Flipping the mungodis ensures faster drying and I was concerned because it is the tail end of monsoon season here and I did not want the mungodis to stay damp. You see I made the mungodis on a whim and the monsoon showers couldn't deter me. It took 2 days to sun dry them while keeping an eye on the sudden showers that are characteristic of this season. I had to bring the mungodis indoors a few times but thankfully there was strong sun in between the showers. Once dry, the mungodis are lighter and make a rattling sound when tossed around. Damp mungodis wont rattle. Make sure the mungodis are not damp, as it catches fungus really soon. Note that the mungodis made during the rainy season wouldn't last the whole year, in all probability, it has the tendency to get damp even if dried completely. 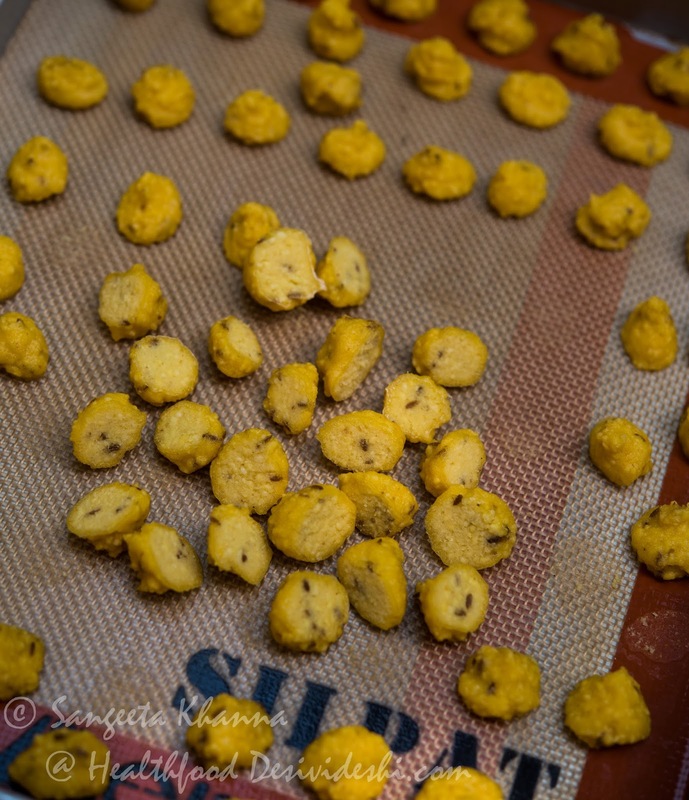 If for some reason, for example rains, your mungodis are not sun dried well, try and deep fry them to dehydrate well and keep in air tight containers. The mungodis can be used directly in that case. Else we need to fry them before currying them like in this alu mungodi ki subzi or Guwar mungodi ki subzi which has a hint of fennel. To make the guar mungodi ki subzi, heat the mustard oil in a pressure cooker, shallow fry the mungodis in the oil and once the mungodis are light pink and fragrant, remove the pan from the burner for a minute and add the everyday curry powder (or any light subzi masala of your choice), turmeric powder, red chilli powder and fennel powder in that order. Toss and mix while the spices get aromatic. Return the pressure cooker pan to the burner, add ginger, whipped yogurt and stir to mix. Now add the chopped guar, potatoes and green chillies, mix well an top up with 1/2 cup water. Cover the lid and pressure cook till the whistle blows, lower down the heat an cook for a couple of minutes. Let the cooker cool down, open the lid and crush the potatoes with a ladle to make the curry a little mushed up. Serve hot with drizzle of ghee with our Indian rice or roti meals.. Thank you for the recipe of mangodi and guar sabji. I think I will try making mangodi sometime, though it looks a bit daunting. I remember how such stuff was made for the family and friends and papar achar was sent to each other. All those badi names are new for me. I just knew mungodi and amristsari badi. You know its a tradition to give papad badiyan(amristari) to the bride in punjabi marriages. I am glad it was helpful but making a small batch of mungodi is not difficult. Please try that sometime. Lovely to see that even such recipes are so well preserved. There is even something called charaudi ( made of rice) and muloudi ( of mooli)., by any chance, you have those recipes as well?? Thank you. Charaudi is made in my home but called as chawal ki badi, to be deep fried and eaten like papad. Muloudi I will ask my mother if she knows.